This week is the turn of Xavier from Brazil. Potential love interest for Diana. Growing up, Xavier was the stereotypical gearhead. He loved vehicles, and even more so, pushing them to their limits. 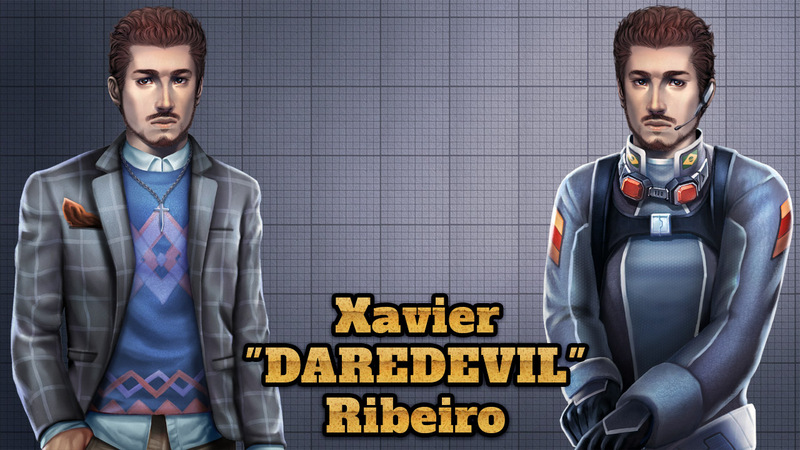 As far as he knows, there wasn’t a dare Xavier couldn’t match. Needless to say, he suffered his share of broken limbs as a child. However, once he started to get older, Xavier grew more discerning in those activities he indulged in. While some might still consider him an adrenaline junkie, Xavier realized careful planning could elicit a greater rush down the line. One result is he eventually joined the military, and more specifically their vehicle arm. Few others had the cutting edge tech he could cut his teeth on. His antics eventually earned him the nickname ‘Daredevil’, such as the time he ramped a hovertank off a dune, and cut a giant grub in half upon landing. If Xavier could be said to have a flaw, it’s that sometimes he is a little too laid back. After all, he’s crashed more than once, but has always come back for more. Still, there are many who are glad to call him friend as he tends to assume the best in others and has a friendly word even when they are down. When off duty, Xavier can often be found in the bar, regaling others with stories of his deeds, though lately this has tapered with the newly arrived Rigel, the mechanic. I have almost finished coding SOTW act 3. Actually, I have: I’m only waiting for some last missing tilesets, which could be the source of inspiration for some extra smaller quests or simply “hunting grounds” for those who like to grind. For example a lighthouse… which could be haunted 🙂 But of course, I’m not adding much stuff now, since the game is already insanely long as it is. I believe act 3 beta should start sometimes next week, next weekend if things go bad. Roger Steel is making progresses as well. 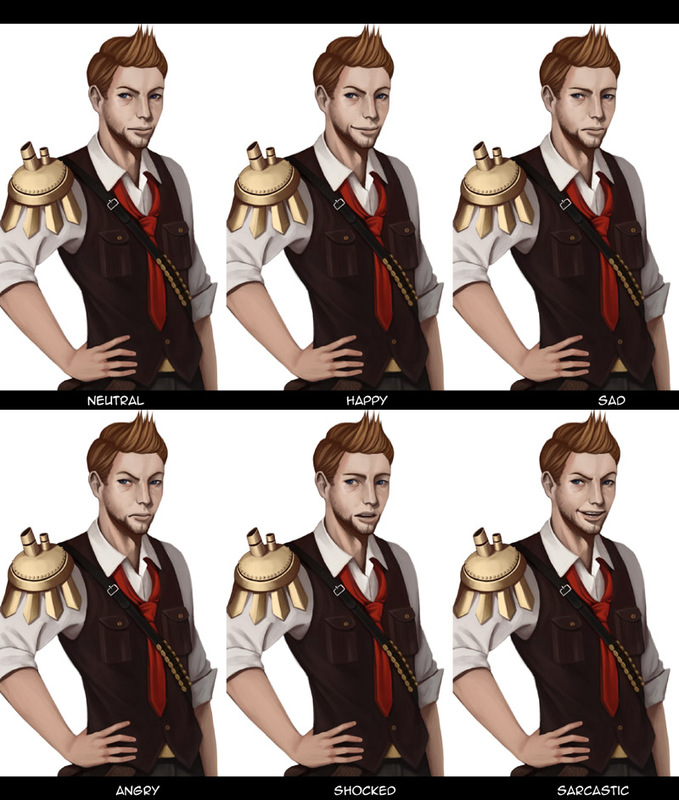 Artist is now doing all the “base expressions”. There will be also different ones, more marked, like laugh, scowl, scared, etc. plus some custom ones for each character that fits their personality. This entry was posted in Planet Stronghold: Colonial Defense, Roger Steel, roleplay games, Seasons Of The Wolf, strategy games. Bookmark the permalink.